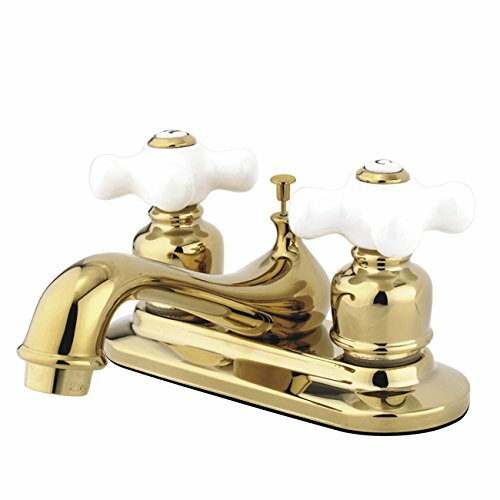 This Kingston Brass tub & shower faucet is a two handle non-pressure balanced tub & shower set with ¼ turn easy maintenance washerless cartridge, includes 8” Brass body with universal connections which allows you to install it using ½” IPS Pipe or ½” Copper sweat. Meets ASME A112.18.1. ANSI and NSF 61 Sec.9 code. Designed for a lifetime performance. Fine artistic craftsmanship. Made in Taiwan. A very economical way to update your bathroom and add style. We recommend buyer to check applicable plumbing codes in their municipality prior to purchasing any plumbing product. 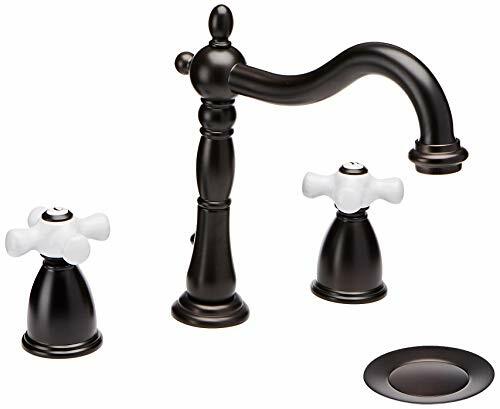 Oil rubbed bronze shower set is brass material made, this exposed shower faucet is matte black color with double cross handle to control hot and cold water, vintage style. 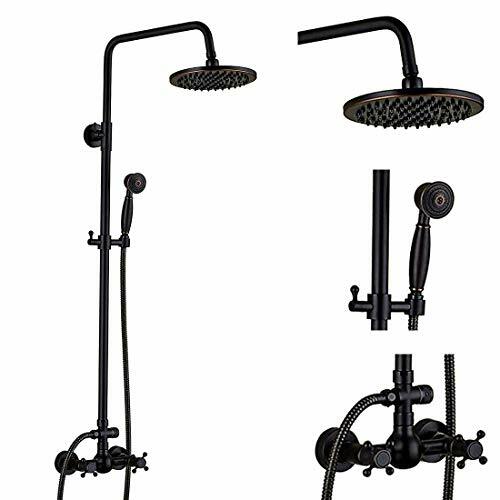 Single handheld shower with 8-inch rainfall shower head, is convenient and comfortable to use. 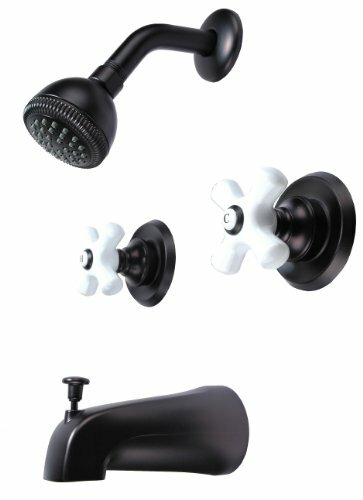 【Material】:Using premium brass to make whole shower set, oil rubbed bronze finish. 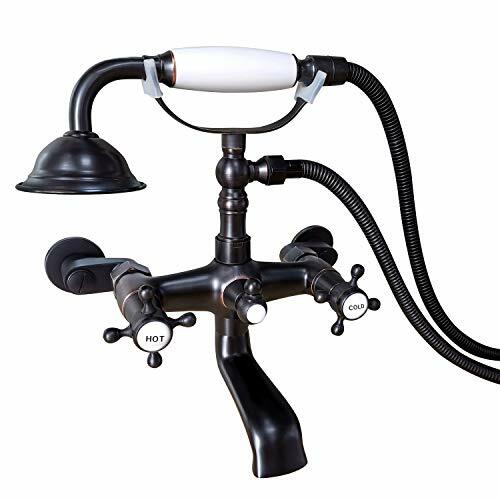 【Function】:Has 2 functions, overhead rainfall shower and hand held spray 【Shower Height】:Shower height can be adjustable between 40 inch-46 inch (100 cm- 116 cm) 【Shower adapter】:Double cross handle control hot and cold water. Ship with adjustable adapter to adjust installation hole distance between 5 inch - 6.6 inch (13cm-17cm). 【Service】:Re-issued if lost or damaged, if any problem can contact customer service. 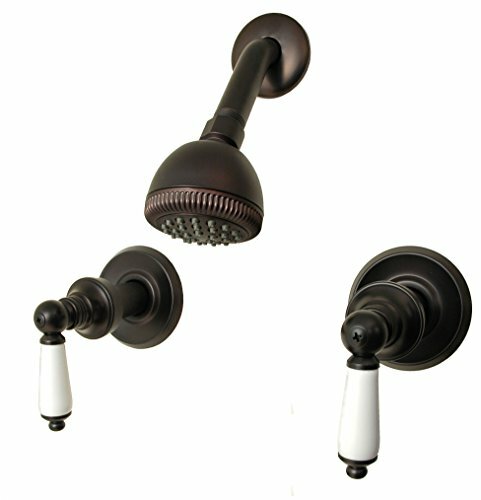 Details: Material: Brass Color: Matte Black Finish: Oil Rubbed Bronze Installation Type: Wall Mount Weight: 8.8 pounds Top Shower Head Size: 8 inches (20cm) Height: 44.4 inches (113cm) Installation Hole:3 Installation Hole Distance: 5.9 inches (15cm) Notice: ★ All dimensions are measured manually with deviation (ranged) at 1-3mm. ★ Item may be a little different from the picture due to the lighting and your monitor’s display. 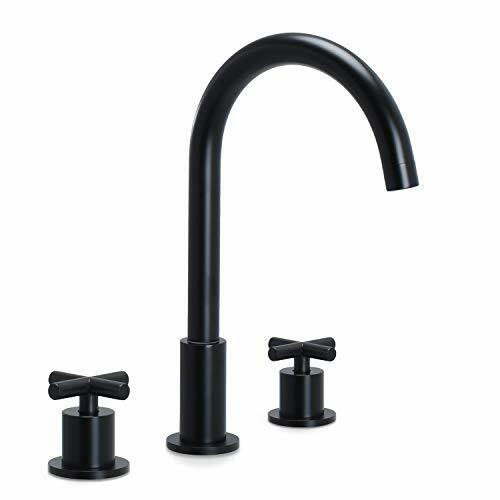 This matte black bathtub faucet is made of premium brass material, easy to install with wall mount type, free adapter also can help to adjust installation hole between 3 inch to 9 inch. 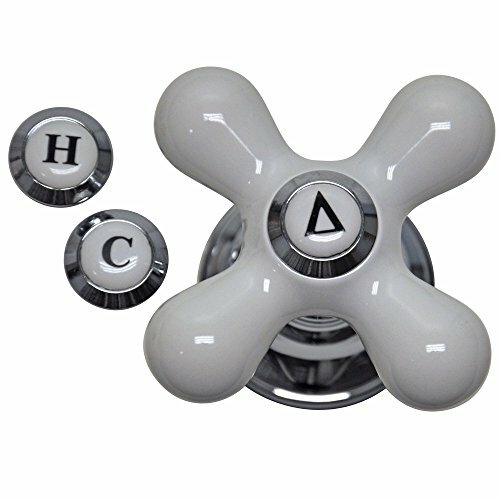 Double cross handle control hot and cold water. 【Material】: Used premium brass made, oil rubbed bronze finish. 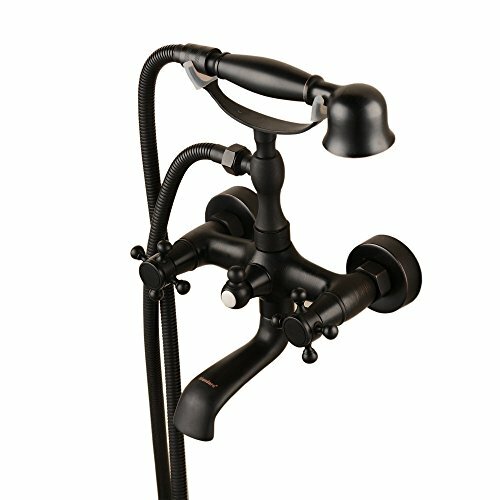 【Design】:Double cross handles to control hot and cold water, handheld shower faucet convenient to use, swivel spout 【Installation】: Easy to install with wall mount two hole installation type, distance between installation hole can be adjustable between 3.15 inch to 8.66 inch with free adapter. 【High Quality】:Oil rubbed bronze finish resist corrosion and tarnishing through everyday use. 【Service】:Re-issued if lost or damaged, if any problem can contact customer service. 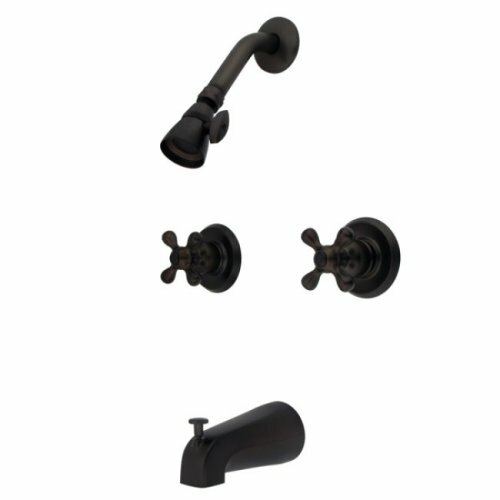 Details: Material: Brass Color: Matte Black Finish: Oil Rubbed Bronze Installation Type: Wall Mount Weight: 4.84 lbs Installation Hole:2 Installation Hole Distance: Adjustable between 3 inch to 9 nch (7.6 cm - 22.8 cm) Notice: ★ All dimensions are measured manually with deviation (ranged) at 1-3mm. ★ Item may be a little different from the picture due to the lighting and your monitor’s display. Pared down, practical and nothing short of perfect, the Atrio Tub Fillers are the ultimate fusion of sophisticated design and precision performance you’ve come to expect from GROHE. 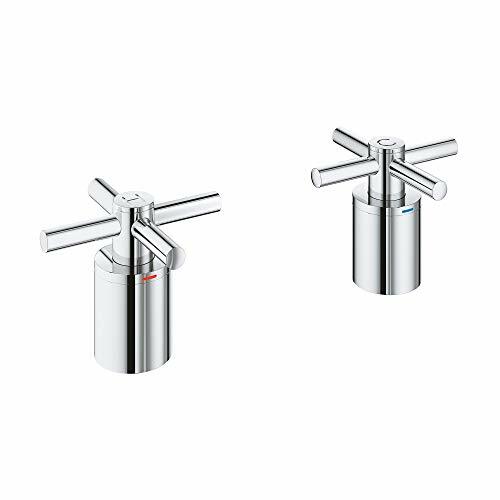 Defined by clean, cylindrical shapes that are timeless by design, these Tub Fillers ensure years of unequaled beauty and unrivaled satisfaction. 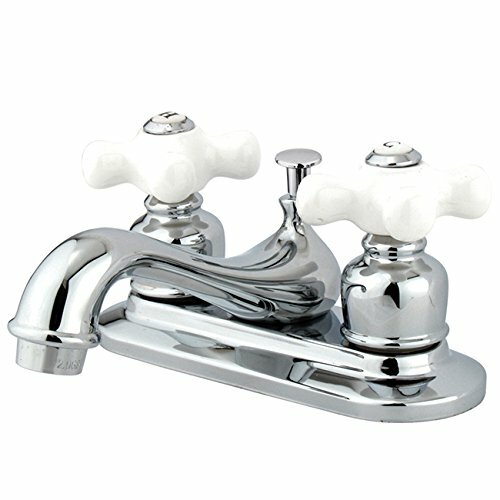 Complet 8" two-handle tub and shower valves, back-bone body included. 1/4"-turn washer-less cartridges. Fit 1/2" IPS or CXC inlet. Porcelain cross handles, brass shower arm. Operated by washerless cartridge (Delta or Peerless interchangeable). 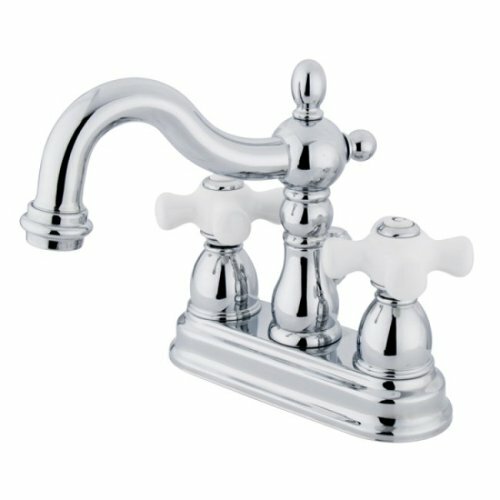 Last longer and less expensive to maintain than ceramic-disc-cartridged faucets. Creating an attractive, contemporary and practical shower space either indoors or outdoors, the Sentinel Mark II Anti-Scald Pressure Balanced showers feature an exposed shower valve and solid brass lever handle for easy activation. 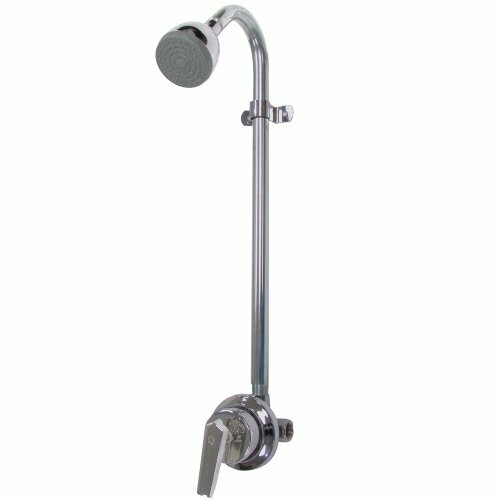 The S-1496-AF indoor/outdoor shower hardware has a cast brass rough chrome plated body with adjustable supply stops which allow connection from floor, ceiling or wall on 7-1/2 in. centers. 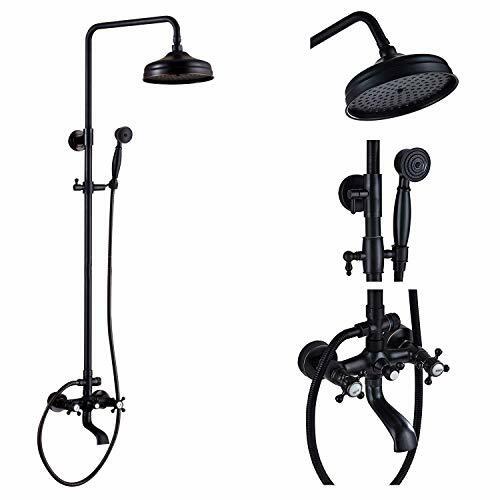 Included with the shower is an S-2272-E2 farmhouse showerhead and a galvanized gooseneck with supporting strap. 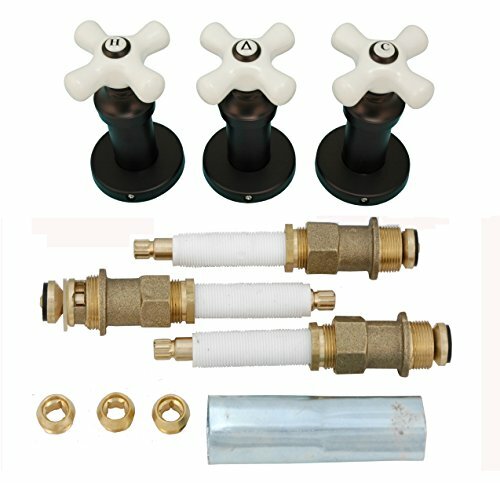 Designed with an anti-scald pressure balance shower valve, the shower faucet set has a ceramic temperature regulating cartridge with adjustable temperature limit and built-in check valves to prevent scalding due to water pressure spikes, making this an ideal bathtub shower faucet set for family bathrooms. 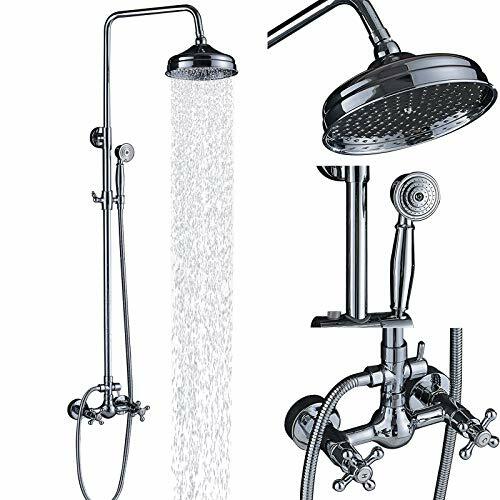 Featuring a vandal-resistant standard, the shower faucet set meets ASME A112.18.1/CSA B125.1 & ASSE 1016 standards.